Want to set yourself up for success each time you interact with a customer? In my newest training course for LinkedIn Learning, I help customer service reps establish a genuine, human connection. I share simple techniques that can help you kick off a conversation in a way that makes your customers feel respected, listened to, and at ease. 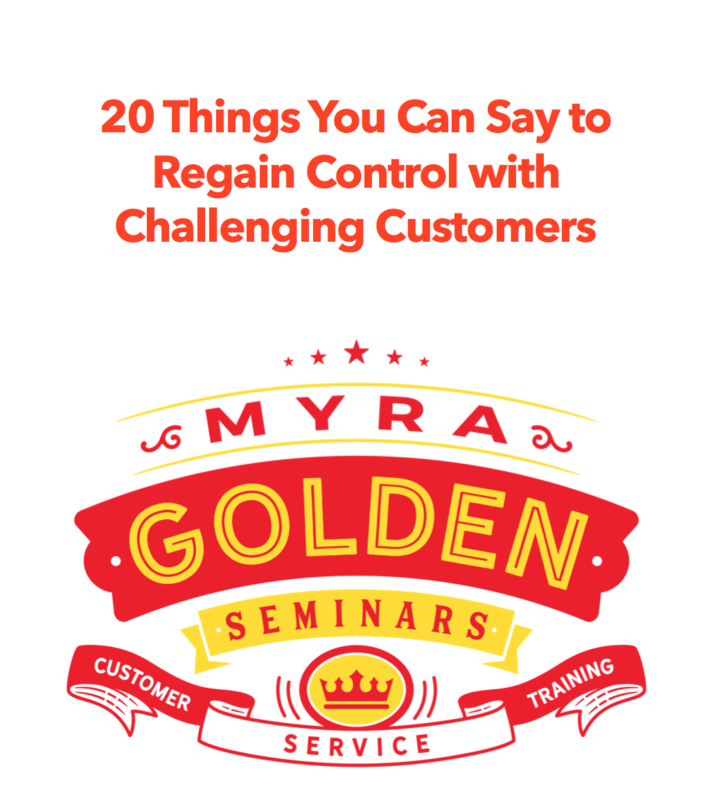 Join me and learn how to keep the conversation flowing by yielding to customers and pacing their words and expressions. Plus, discover techniques that can help you build rapport in specific situations, including chat interactions, emails, and circumstances in which you need to deliver bad news. Take my newest training on LinkedIn Learning.